UK business owner has fallen in love with Maui and wants to move here. Can she? Full-time job opportunity in Maui at $30/hr? Moving to Maui? Go West! Moving to Maui from California? What’s the cost to move to Hawaii? 12 Reasons You Should NOT Move to Hawaii! Sign up for our FREE newsletter and never miss a new article! 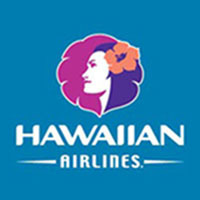 Whenever possible, we fly on Hawaiian Airlines, hands-down the best. We scored a deal with them to get you lowest prices! David W on Can I live in Hawaii? It’s easy now: take the quiz! How on earth can you afford living in Hawaii? What’s the best way to get plugged in with people in Hawaii? Are there perks or benefits for retired people living in Hawaii? Other Helpful Hawaii Sites - A collection of Hawaii websites I enjoy. Hawaii Blog - Ryan Ozawa’s Hawaii blog, straight from Oahu.